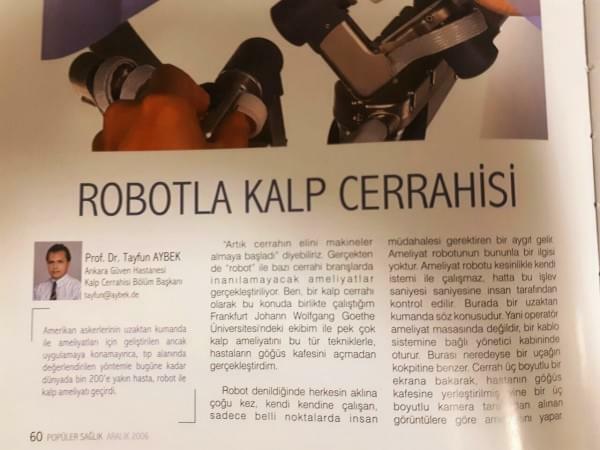 Tayfun Aybek successfully performed his method of "Microchip Project" on pigs, patented by him. 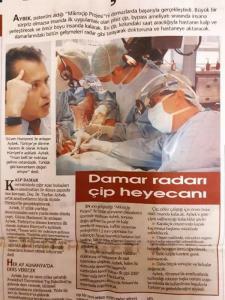 If everything goes as expected, it will be started to applied on humans for bypass surgeries (battery-free chip). 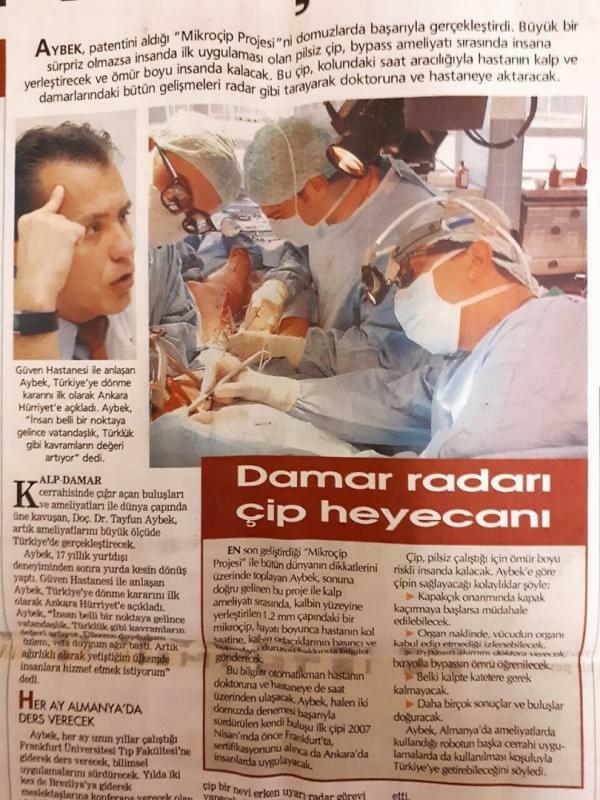 This chip scans all the warnings about heart and vessels of the patient through a watch and transfers information to concerned hospital or doctor. 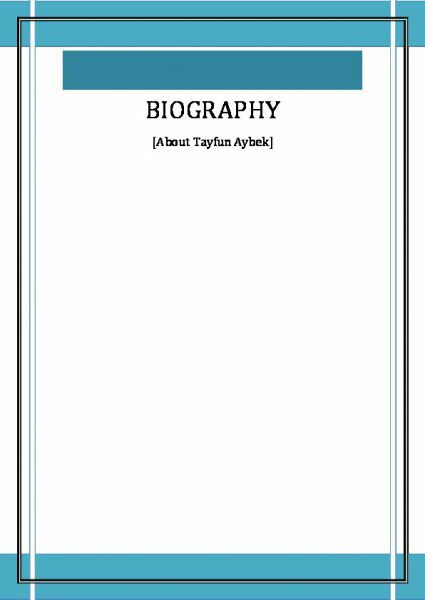 Turkey is now witnessing the examples of backwards brain drain. 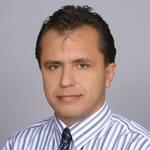 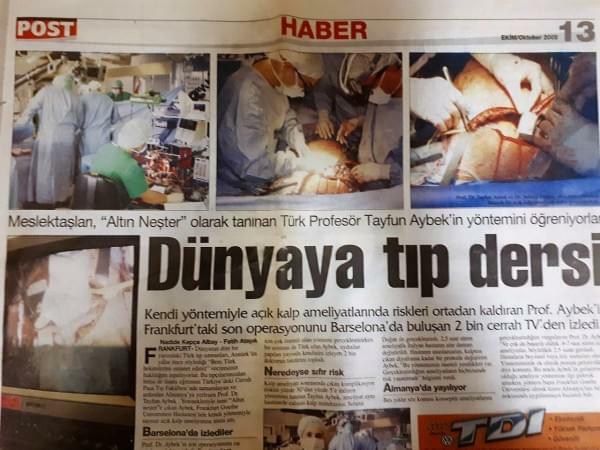 Worldwide know surgeon Tayfun Aybek decided to continue his career in Ankara! 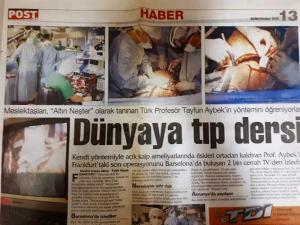 Prof. Tayfun Aybek, MD, also known as "Gold Scalpel" by his colleagues teaches his new method to other doctors. 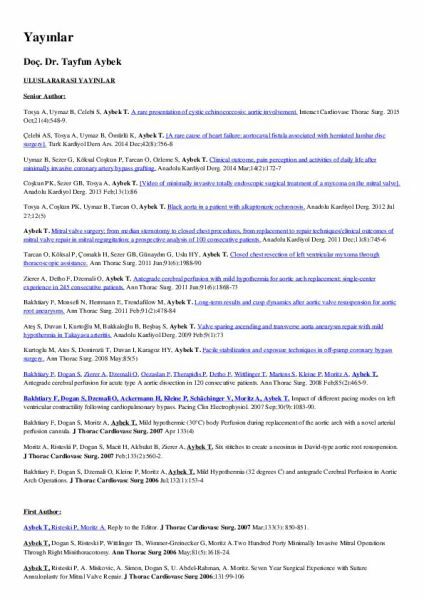 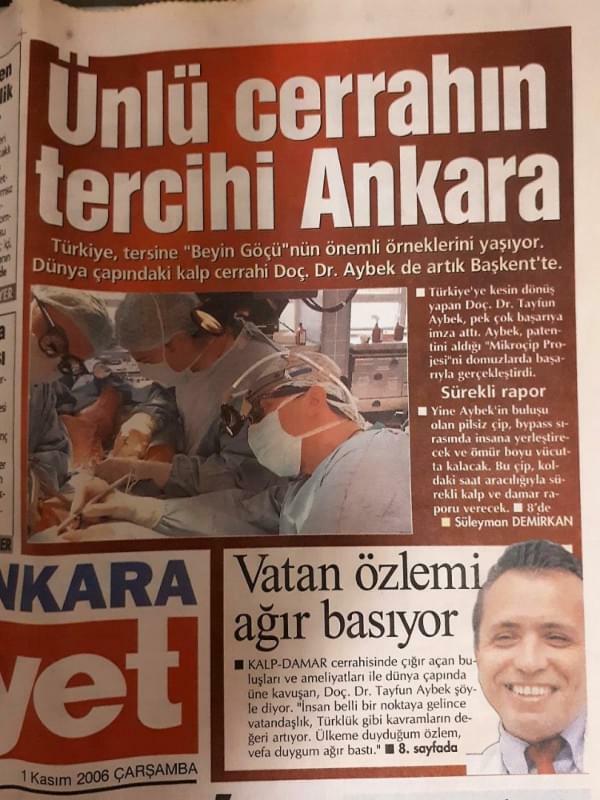 Aybek's new method of Cardiovascular Surgery, which reduces risks of Cardiovascular Surgeries with his new methods is watched online by 2 thousand surgeons from Barcelona. 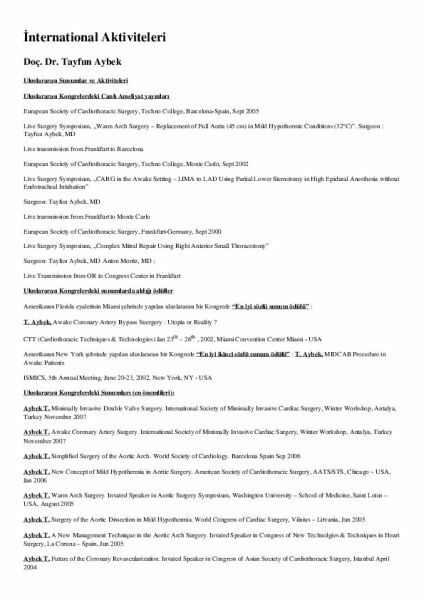 He changed artery without hypothermia.